Happy 4th of July and God Bless everyone. Well, its a little cooler here at the stables. We received about a 1/2 inch of rain last night. We were starting to worry that the pastures were going to burn up. God saved us again. I've been giving little tips on training, I think todayu I'm going to step back and make sure all my readers know an important rule. This should be learned before you even attempt to train. You need to know how to ride a horse, this means sitting on one correctly. Learning to ride includes the use of your whole body. It is not enough to sit in the correct position on a standing horse. You need to practice using your body as the horse moves. When you are riding, your center of gravity is located about 10 cm below you navel. In order to maintain your horses balance, you must align your center of gravity with that of your horse. 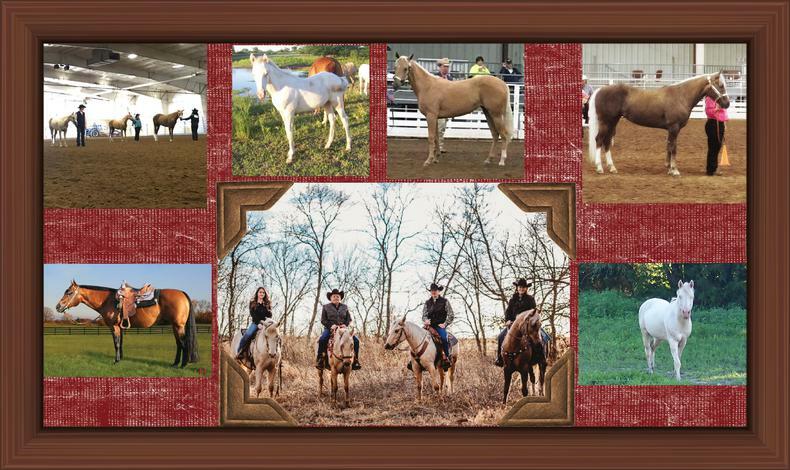 Your position will vary depending on the work you are asking of your horse. This is why jockeys that gallop race horses are hunched over the horse's neck. As the speed of the horse increases, the horse's center of gravity moves forward. Why dressage riders doing collected work keep the center of gravity further back, helping to slow and collect the horse. As the movement of the horse slows, the center of gravity moves back. If you can maintain your balance over the shifting center of gravity of your horse, your horse will stay balanced. Will be more confident with your aids and will not have to work as hard. No matter what style of riding you are interested in, balance is important. The rider's position can influence the horse's way of going to a great extent. Learning to relax and allowing you to feel the horse's movement can greatly add to a rider's enjoyment. No matter what your style or riding is, having a good, balanced position is important. In the basic seat position, you sit erect, deep in the saddle with your body balanced and relaxed. Sit tall in the saddle, do not slouch. You should be able to draw a line from the point of your shoulder to your heel and from the point of your knee to your toe. Your leg should maintain a frictional grip, maintaining light contact with the horse's body through your inner thigh and upper half of your calf. Your foot should be turned out slightly in a natural position with any weight on the ball of your foot. Your heel should be lower than your toe to allow more flexibility in your ankle. Your hands and arms should be relaxed and supple with your elbows in close to your body. You should hold the reins just above and in from of the saddle horn or pommel. Most positional problems have their beginnings with bad habits. Develop the following good habits and you will ride in a desirable position. You should be looking up and watching where you are going. The weight of your head is noticeable to your horse. They will usually go in the direction you are looking. For example, you can ride in a circle with minimal leg or rein pressure simply by looking into the center of the circle. Often a rider will look down when they are riding to check diagonals and leads. This can make it harder for the horse to work because it puts extra weight on the front quarters, making it harder for the horse to stride forward. The extra weight can also make it harder for an unbalanced horse to travel. It is important that you hold your head up to help you feel your horse and develop your seat. As you sit in the saddle your shoulders should be level. Shoulders that are not level are a sign you may have your weight shifted to the lower side. This makes the horse lean in the same direction. Loping / Cantering in small circles will cause you to want to drop your inside shoulder, so pay careful attention to keeping them even. your back should be erect, but not locked and rigid. your forearm(s) of your rein hand should come straight forward with the hand held vertically just above or on either side of the horn / pommel. The hand should follow the natural movement of the horse's head. When riding one handed, the lower arm should be held at a 90 degree angle in front of the waist. The fingers of the hand holding the reins should be curled around the reins with the thumb held down firmly over the index finger and reins. Your forearm and reins from the horse’s mouth up to your elbow should form a straight line. This straight line includes your wrists which should not be bent. Your elbows should remain in close to your sides and slightly in front of your body. riding with two hands the rider's hands should be placed 4-5 inches apart with the thumbs facing upwards and the fingernails of each hand facing each other. The hands should be held slightly in front of the withers. The hands should remain closed with the fingers tight on the reins without being rigid. The inside of the thighs should remain in contact with the saddle without gripping. Your seat bones should be in contact with the saddle so that your body sits at a 90 degree angle to the saddle. Be careful that you do not sit back on your buttocks and back of your thighs. Sit up, take your feet out of the stirrups and twist your legs until the insides of your thighs are in contact with the saddle. The legs are used to balance the upper body in the saddle and cue the horse. A western rider uses a longer leg position then an English Hunt Seat or Saddle Seat rider, but a similar length to a dressage rider. The differences in riding style are caused by the shape of the saddle and the forward movement of the horse. For all saddles, the stirrups need to be short enough that the legs and ankles can act as shock absorbers. For western riders, the stirrups should hang so that the bottom of the stirrup touches your ankles. If you are involved in cattle or other events you may want the stirrups slightly shorter. The lower leg is important for leg aids. It may be used to squeeze, kick or bump the side of the horse. The lower leg needs to be kept still when you ride, or your leg aids will not be as effective. This is because the horse has been getting signals all the time and does not know which ones to obey. The distance between your lower leg and the side of the horse will depend on the length of your legs and where they fit against the body of the horse. Foot position affects how you can use your legs. The ball of the foot should be resting on the stirrup with your weight carried down through your heel, so that your heel is lower than your toes. If you place your weight on your toe, it will point down and it is possible that your foot will slip through the stirrup. Putting your foot too far into the stirrup makes it hard to flex your ankle. The feet of the rider should be nearly parallel to the side of the horse. Toes pointing outward can cause problems, especially if wearing spurs. You can accidently jab the horse because of an incorrect foot position. The direction of the foot will turn the whole leg. This makes it hard to get the inside of your calf, knee and thigh against the saddle. Because your legs grip the saddle by friction you will not have as firm a grip if your legs and feet are turned outward. Gripping the saddle too hard with your legs will push you up and out of the saddle, making it hard to sit the gaits. I hope everyone has a fun and safe 4th. Enjoy the BQs and fireworks check back tomorrow for more tips, recipes or just the going ons.